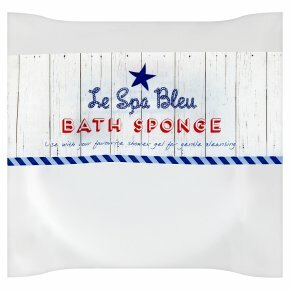 This super soft bath sponge will make your shower gel go further. Use with your favourite shower gel for gentle cleansing Care Instructions: Rinse in clean water before and after use and dry in a well ventilated place to keep the sponge clean and fresh. Keep out of sunlight to avoid discolouration. Caution:<br>To avoid danger of suffocation, keep this bag away from babies and young children.